Everything is made up of light and a healer is able to channel that light in order to share it with another person for their healing. Paramita Path was founded for the purpose of helping people evolve spiritually, heal the heart and remember who they are. 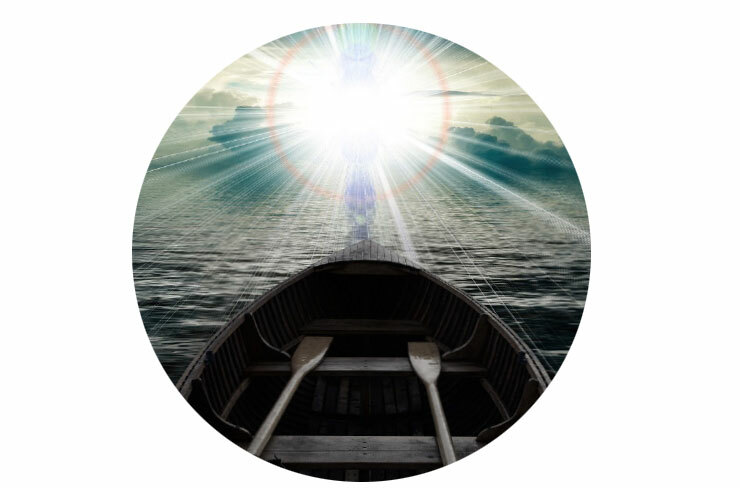 Divine Sacred Healing sessions allow for a graceful, quicker way to heal and let go. The process is effortless while increasing self awareness in a peaceful and joyful way. I have found this method greatly compliments Psychotherapy sessions. This combination enhances and accelerates healing at the physical, mental and emotional levels. The Paramita Path is dedicated to spiritual healing and spiritual evolution for the benefit of all beings. The intention of Paramita is to bring unconditional love that will transform your life, open your heart and help you remember who you are. One of the most common aromas to help treat anxiety disorder is that of lavender. Within lavender there are over 150 different components that interact to help produce a healing effect. When buying lavender oil, make sure that you go for quality stuff. In order to determine the quality of the lavender, you will want to make sure you are buying something high in esters and very low amounts of cineol. Most people enjoy the scent of lavender and find that it really helps them de-stress and relax better than most. When inhaled it basically slows down fast wave brain activity (the root of anxiety) and replaces it with slower wave alpha brain wave activity. The geranium rose can help to relax your entire body as well as boost your mood if you are feeling down in the dumps. It has a very nice flowery scent that most people enjoy a lot. This particular plant has been found to help balance hormonal levels as well as provide a major boost of relaxation. Upon smelling this scent, many people feel more relaxed and less irritable than before. This helps to make us feel calmer throughout the day and can even improve mood. Like the other aromas on this list, it can provide a soothing sensation to the entire central nervous system. If you find yourself caught up in a never ending cycle of work, stress, anxiety, and don’t know what to do, this may help you out. It can take away pain throughout the body and some say it works by stimulating the lymphatic system. Most people have heard of chamomile tea, but may not have tried it in aromatherapy to help reduce anxiety. This smell is pretty distinguishable from most other scents – it smells a little sweet or fruity at times. It has been established as a substance to help reduce stress and in some cases has helped with insomnia and muscle tension. The oils are obtained from the Chamomile flowers which can then be used in therapy. It has been used for over 2000 years and can help with a variety of ailments including vomiting, insomnia, restlessness, and ADD. The way it helps is primarily by having a calming effect on the user. Although it is likely not going to result in a permanent cure, it may help with a variety of things. When this type of oil is applied to the skin, it can even sooth any tension within the muscles. Most of the aromas on this list may help for other things in addition to anxiety. This is another substance that when inhaled should be beneficial for anxiety reduction. In the Korean Academy of Nursing, there was a study done that involved the inhalation of clary sage with lavender, peppermint, and rosemary – the combination of these oils resulted in less anxiety for the individuals taking a stress test. There have been some studies involving clary sage and most have demonstrated that it can help with anxiety. It is by no means going to result in a cure, but will at least provide a temporary soothing effect on your mind and body. The actual bergamot oil is obtained from the rind of unripe citrus fruit from a bitter orange tree. Like the others already listed, it can induce a state of relaxation and calmness. Many individuals find this scent refreshing with elements of fruitiness. This specific scent tends to be very helpful at restoring the hypothalamus to a state of homeostasis and calmness. If you are feeling a lot of stress and anxiety, this aroma may provide you with some major relief. Sandalwood has a sweet, woodsy, outdoors type scent and can be very beneficial in reducing anxiety. There was a study conducted that took into account the sandalwood aroma in cases of terminal illness. It was found to reduce overall anxiety in these patients. Additionally some have said that it works great to help with insomnia as well as improve overall quality of sleep. This fragrance comes from an evergreen tree and the oil that is used in massage therapy is extracted from the heartwood. Sweet marjoram is noted by some as helping during the menstrual cycle with cramps. It has also been said to help with circulation. Most people that use it notice that this bold fragrance has a little spice, but it does end up contributing to a state of relaxation of the mind and body. Like the others this can help some individuals with insomnia and get a deeper night’s sleep. Many individuals like to use sweet marjoram in combination with other things like lavender, bergamot, and chamomile for an even more powerful effect. Blocked energy in our 7 Chakras can often lead to illness so it’s important to understand what each Chakra represents. Root Chakra– Represents our foundation and feeling of being grounded. Location:Base of spine in tailbone area. Sacral Chakra– Our connection and ability to accept others and new experiences. Location:Lower abdomen, about 2 inches below the navel and 2 inches in. Solar Plexus Chakra– Our ability to be confident and in-control of our lives. Location:Upper abdomen in the stomach area. Heart Chakra– Our ability to love. Location:Center of chest just above heart. Emotional issues:Love, joy, inner peace. Throat Chakra– Our ability to communicate. Emotional issues:Communication, self-expression of feelings, the truth. Third Eye Chakra– Our ability to focus on and see the big picture. Emotional issues:Intuition, imagination, wisdom, ability to think and make decisions. 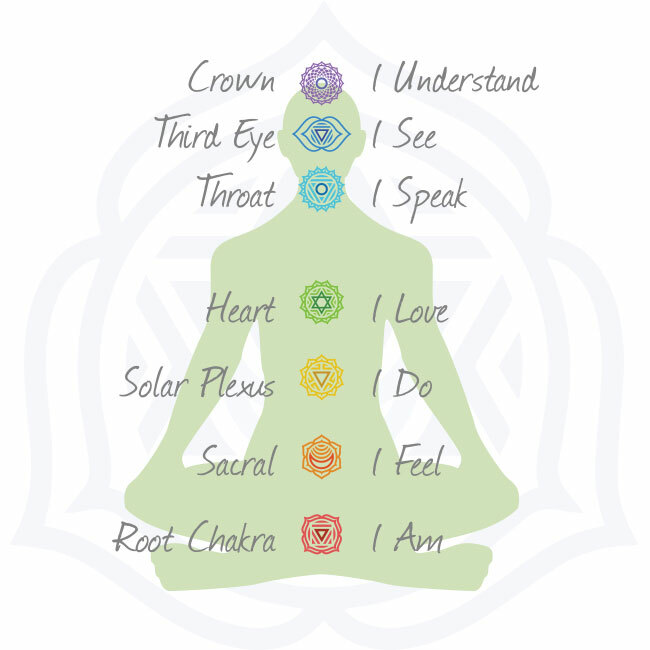 Crown Chakra– The highest Chakra represents our ability to be fully connected spiritually. Location:The very top of the head. Emotional issues:Inner and outer beauty, our connection to spirituality, pure bliss.